This blog adds to the list of some of the more common personal property people are trying to protect in bankruptcy with Virginia bankruptcy exemptions. Like the name implies, the homestead exemption is primarily to protect equity or value in a house. However, if you do not need this protection you can use the protection on any personal property. In Virginia, the homestead exemption is $5,000 per person and an additional $500 per dependent. If you are over 65, the exemption amount goes up to $10,000. Here is the twist. To claim your homestead exemption you must record a properly formatted homestead deed in the land records office in the city where you reside and — in the case of real estate — in the city where the land or property exists. For example, if you live in Chesapeake and own a rental home in Virginia Beach, the deed to protect the rental property must be filed in Virginia Beach. If you live in Richmond and are renting and are just using the homestead deed to protect personal property then you would just record it in Richmond. The homestead deed has many uses. In the case of protecting property under the Virginia bankruptcy exemption homestead deed, the deed must be filed within 5 days of the 341 Meeting of Creditors or you cannot assert the protection. Additionally, if you record the deed but forget to list something you want to protect and the 5 days passes, you will not be able to add this item to the homestead deed. So you ask, why do I need the homestead exemption if I don’t have a home? Read on. There is no specific protection for liquid assets such as cash, stocks, money in the bank, tax refunds, etc. in the Virginia bankruptcy exemptions. Protection for these assets comes under the homestead exemption and must be listed on your homestead deed. So no, you do not need to close your bank account with two exceptions. The first exception is where you might have contractually given the bank permission to offset any debt owed to the bank against the funds in your account. The second exception is a credit union. If you owe money to a credit union, they have the right to offset against any money in your account. So as a general rule, stop banking at any bank you owe money to. Protection for your tax refund begins the year before you plan to get it. In other words, in a bankruptcy filed in 2013, you need to protect the portion of the refund you have already earned credit for but will not receive until 2014. This is a complicated calculation that your attorney will handle. The amount of the refund owed to you at the time of filing must then be listed on your homestead deed and the deed must be properly recorded. You can protect one weapon with the Virginia bankruptcy exemptions. Protection for additional weapons comes under the homestead exemption. Collectibles, exception for heirlooms, are protected under the homestead exemption. Make sure you do an appraisal of your collectibles. You do not want to be surprised that that baseball card or stamp is worth a lot. 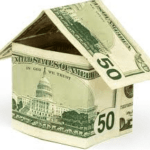 Remember – you only have that homestead exemption. CONSIDERING BANKRUPTCY? GIVE US A CALL OR SCHEDULE A FREE CONSULTATION BY CLICKING HERE. YOU CAN ALSO FIND OUT MORE ABOUT THE SUBJECT AT www.VirginiaHomesteadDeed.com. TO READ PART 1 OR THE CONCLUSION – CLICK.